SCHOLASTIC BOOK FAIR IS COMING SOON! Back to School Night- Tuesday, Sept 17 – 5:30 – 8:30pm. You can also buy books online from September 9 -29. See the link to the Online Fair. 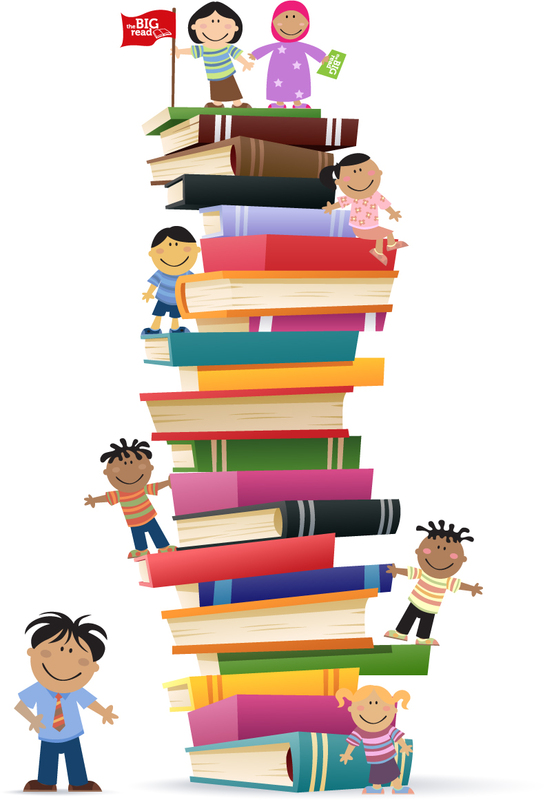 This year during our Book Fair, we would like to raise money through “All For Books”, sponsored by The money collected will be given to the teachers in our school to buy books for their classrooms. In addition, Scholastic will match monetary donations with a donation of up to one million books to two non-profit organizations dedicated to helping children, families, and teachers acquire books and educational resources – Kids In Need Foundation and Kids in Distressed Situations. It’s very easy to donate. Simply send $1 or any loose change with your child to school. Collection boxes will be available in each classroom, as well as in the Book Fair. Let’s raise a lot of money this year by donating to this worthwhile cause. I am so pleased to announce our biggest fundraiser of the year, the Jog-a-thon, was a success! At the end of a school year, where we funded expensive projects, yet had smaller than expected income, it is an enormous relief to have this fundraiser meet its budgeted goal. THANK YOU! We raised $35,000 and we did it in big ways and small. Everyone who donated 5 or 10 dollars contributed and everyone who raised enough to become their grade level winner of season passes contributed. All teachers who ran, walked, encouraged, cheered on, shuttled paperwork and personally donated funds, contributed. The volunteers who passed out cups of water, marked laps, distributed popsicles, counted funds, contributed. Everyone who cheerfully ran for the fun of it, contributed. Our tireless PE teachers Ms. Hughes and Ms. Hilton, who organize this event each year, contributed most significantly. And everyone, whose sponsors asked their employers to match their donation, contributed doubly! We can’t thank you enough. We had 446 students participate by raising funds… and that is 64% of our student population! They raised an average of $81 each. We had 234 red playground ball winners, who donated $100 or more. All students participated by running, jogging, walking and having a good time at the event. Together we marked arms 11,123 times, which is about 1,390 miles logged. That is almost half way across the United States! Jonathan and Alexander (both from Room 28) ran the most laps. They each ran 4 miles (32marks) in 30 minutes. That is fast! Though no single classroom had 100% participation in the fundraising for Jogathon, Ms. Aidun’s (Room 3) and Mrs. Carlson’s (K2) classes came very close with 27 participants bringing in donations. Mrs. Maryman and Mrs. Bockstiegel’s classes each had 25. The classrooms that brought in the highest amount of donations in each grade level will be awarded with an ice cream party to celebrate their success. Those classrooms are: Mrs. Carlson’s K2, Mrs. Cowan’s Room 8, Ms. Aidun’s Room 3, Mr. Lotz’s Room 15, Mrs. Maryman’s Room 31, Mrs. Cooper’s Room 28, Mr. Rivera’s Room 19. Congratulations to the winning classrooms. We also have grand prize winners from each grade level. They are awarded to the students who raised the most funds. They are: Rohan R. in K2 for Kindergarten, Emily in Room 8 for First Grade, Sai in Room 3 for Second Grade, Ethan S. in room 15 and Anton in Room 16 (a tie) for Third Grade. They will each receive a season pass to Aqua Adventure Park. Eshaan in Room 31 for Forth Grade, Kevin in Room 24 for Fifth Grade, and Kevin C. in Room 20 for Sixth Grade will each receive a season pass to Great America. Congratulations to the big winners. If you have not yet done so, please check with your company to see if they have company charitable donation matching program. This is the easiest way to, in most cases, double your donation. (Please see below of information on corporate matching.) And, of course, please do not hesitate to donate even though it is past the deadline. The MVSA will gladly accept your donation and put it to good use, no matter when you give. Thank you everyone for helping make this success possible. Did you know that that many employers will match your donation(s) to MVSA? Your company may match dollar for dollar or up to a certain amount for your contributions. All you have to do is just ask! Obtain a matching gift form from your employer (usually available on your company’s intranet). Fill out your information completely. Return the form to MVSA (drop off in the front office). We’ll complete our part and mail it in! For a list of companies that support Corporate Matching, please see our website, http://mvsa-fremont.org/2012/11/29/corporate-matching/. If you don’t see your company listed, please ask us or check your company’s intranet.